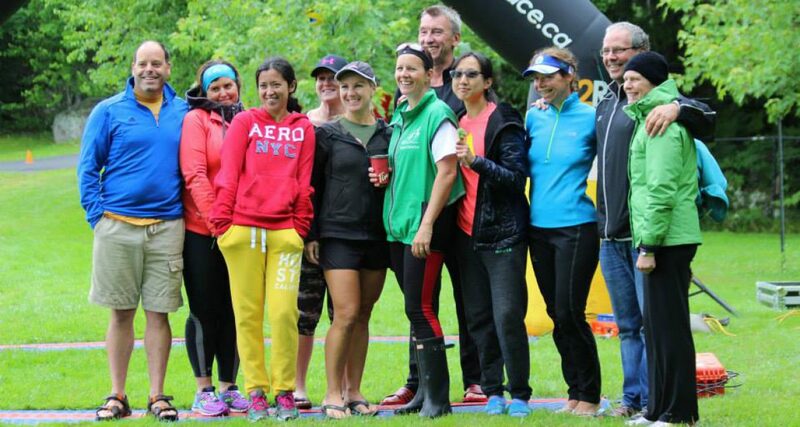 While the training group for the Challenge St Andrew’s July 10th is ramping up their efforts and staying the course, the new schedule for general club workouts is stalling around the move to swim outdoors due to menacing weather forecasts. We had scheduled a club social at Banks Bikes for this Wednesday but hosting at the shop was based on the Reservoir Park Race Series that runs on Wednesday evening and the last race was postponed last week and is supposed to run this week…so looks like we are waiting on the series to conclude so we can hang at the shop for a bit….I’ll keep everyone posted. Tuesday, the plan is to meet at Acadia for a track workout – indoors or out as usual. The St Andrew’s crew will be doing a different run tomorrow as this training block requires some extra focus on distance – they can do their easy 5km on the track then head out to the trail for the race pace 5km and back to the track for the cool down 5 km. The other track workout is posted to the Workout page (I plan to be there around 6 PM). The swim workout for tomorrow has some exciting variations with a focus on sighting and “take out” pacing. Thursday BRIX@SIX will be at Grand Pre Historic Site again. Let’s pray for better weather. Friday is the Banks Bike Ride at 9 am for anyone able to do 30ishkm/hr and strong on hills. Sunday is typically a long bike ride …. reach out if you are planning to go or looking for ride partners.